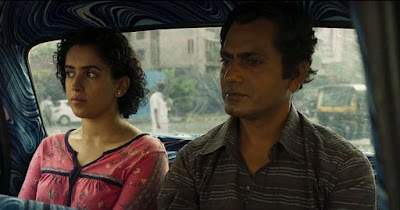 Ritesh Batra's directorial debut The Lunchbox was one of my favorite movies of 2013, with the Mumbai-born filmmaker moving on to much bigger things with 2017's Our Souls at Night. That film was yet another romance about two people whose lives intersect at just the right moment, only this time Batra had legendary Hollywood actors Robert Redford and Jane Fonda to work with. Now Batra returns to his home country with his latest, Photograph, which looks to be right in the director's wheelhouse. SYNOPSIS: Two lives intersect in Mumbai and go along together. A struggling street photographer, pressured to marry by his grandmother, convinces a shy stranger to pose as his fiancée. The pair develop a connection that transforms them in ways that they could not expect. From Ritesh Batra (“The Lunchbox”). The film stars Nawazuddin Siddiqui and Sanya Malhotra, and was quickly picked up by Amazon Studios after its well-received debut at Sundance. They plan to release Photograph on May 17th.